Rau insists the current system is allowing a few individuals to dominate the decision-making process and allowing groupism. Tushar Arothe, the Indian women’s cricket coach, stepped down just over a year into the job on Tuesday, four months before the World Twenty20. He became the third coach in the last eight years to part ways with the team months before a major ICC event. He had taken charge after Purnima Rau, a former captain, was sacked by the board in April 2017, two months before the World Cup in England where India finished as runners-up. Former India player Sudha Shah was similarly asked to go before the 2010 World T20, while this was the second time Rau was removed from her post. 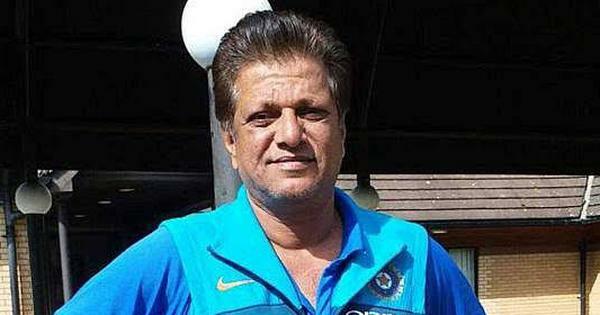 Rau, who is arguably the most successful coach of the women’s team, was in charge when India won the Asia Cup in December 2016 and during the successful series in Australia and ICC World Cup Qualifiers. She still doesn’t know why exactly she was let go months before the cricket showpiece. Scroll.in caught up Rau, who has been a selector and a manager before, and she had much to say about the off-field mess in Indian women’s cricket. I took over this team in 2014, just after they had lost to Sri Lanka in the World Cup and were languishing at No 8 in the ICC rankings. I was in charge of the Sri Lankan series and the World T20 in Bangladesh, but after that I was unceremoniously removed. I was replaced by Sudha Shah, under whom the girls won the historic Test match in England, but after that they lost in the ODIs and the home series to South Africa. Suddenly I get a call from BCCI asking if I would come back. I didn’t think much of it then and returned. From then we have been winning, in New Zealand and Australia, Asia Cup, ICC Qualifiers... we won 16 ODIs in a row, almost eight series from 2015 till the time I was sacked again. Suddenly, I was out two months before the World Cup. I wasn’t even told. Thankfully, Tushar was at least called to the BCCI office. It is good they had given him a one-year contract, and an assistant coach and other support staff with contracts as well. The girls reached a place where they got the wins and attention, I was happy for women’s cricket. I didn’t dream of things changing so much. But this is old wine in a new bottle, it is ridiculous. I was a coach who gave freedom and rest, treated each and everyone how they wanted. They were unhappy with that and wanted someone more rigid, more energetic. They wanted a male coach, they got that. If we had so many differences in the team, we would have never won. As long as I was there, I didn’t even get an inkling of their dissatisfaction. Aarothe was already with them from 2009-’12, he was the assistant coach to Anju Jain. They knew the working system of the coach and they asked for him. But then why get disappointed with him because he is rigid and his coaching methodology? You already knew about it. Why do you want to change him without giving him two-three years? I was successful so I was removed; this guy is down in the pits and he is still removed, I am perplexed. Is it their country they want to represent or their personal whims and fancies? I am not sure whether to laugh or feel sorry, but I do feel sorry for women coaches in the country. Is she just going to coach club and domestic sides? Then why are we having National Cricket Academy courses for them? After all the donkey work they do at the grassroots level, should they have no ambition to don national colours? Sudha Shah was taken off and Anju Jain was given the charge. Then, I was brought in after the poor showing in the World Cup. Suddenly, I was removed and Sudha came in again. Then, she was removed and I came in for New Zealand. Coaches have no value or respect; they are just a figurehead in Indian cricket. A certain Diana Edulji has messed it up because of the bad precedent set in my case. If the girls have a problem months before the World Cup, BCCI higher ups should tell them to focus on the World Cup. It’s like a kid asking for ice-cream in the middle of the night but instead of encouraging it, you should ask them to wait till tomorrow. It is short-sightedness from BCCI. After all the cricketers have done since 1973, poor decision-making is affecting the team. This system is allowing a few powerful individuals to make decisions, and groupism is being allowed to prosper. Who is going to solve it? What do they want? Do they want a Rahul Dravid and will he even last here? Has Edulji messed it up because of vendetta or have they got too powerful? Tushar said there is no bench strength; I am telling you there is a third bench for India women. The only thing is nobody wants to see the kids coming through. I can put together three teams in India. You can’t lose to Bangladesh twice, there is something wrong deep inside – selection process, technique, bowling, fielding... the girls just couldn’t throw. They were much fitter in the past. They have to tackle their huge egos, they think they are too big for the game but the game has already kicked them at Asia Cup. It’s time for them to tie their shoelaces and get back on field. As for the new coach, why can’t Diana Edulji apply? She will be ideal, these girls need someone like her at the top. It is a backhanded compliment, but it is true. She should resign from CoA and take this up, become India’s coach. As told to Zenia D’cunha.